Apple season is here and I couldn’t be more thrilled. I am welcoming fall with open arms and an entire season of fabulous autumn cocktails, starting with this Cranberry Apple Cider Cocktail. It’s simple, but lovely and crisp and full of cranberry, orange and crisp apple. It’s been a quiet week here in the old blog-o-sphere, but while it’s been nothing but tumble weeds here, I feel like I’ve been running around like the preverbal headless chicken. The week has been full of juggling projects, school work, attempting to eat a few more salads (and a few fewer cookies), getting dinner on the table and still having a few minutes at night to unwind and let my thoughts settle. After a particularly harried week, I wanted nothing more than to immerse myself in the flavors of the season: apples with cranberry and orange. This trio are the rock stars behind my grandma’s cranberry relish that is a staple on our Thanksgiving table. And while I promise to hold off Thanksgiving talk until at least November, there is no holding back my love of apple anything. 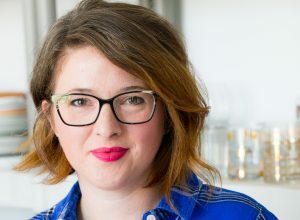 I’m no stranger to apple cocktails (I’ve got a list of more apple cocktails at the bottom of this post – just keep scrolling to check them out!) and during a recent trip to the grocery store I was met face-to-face with a hard cider and pumpkin beer display. “Oh, joy! Fall is here, baby!” I thought, will mentally doing fist pumps. 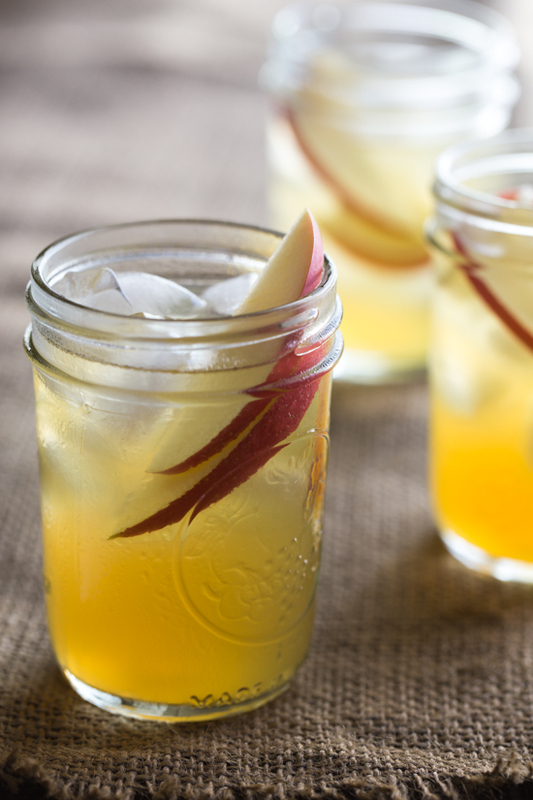 I knew my cocktail inspiration for the week had been decided: a hard cider cocktail. I had so many ideas swimming through my head, I realized that I would need to explore a few different options, but settled on this simple and incredibly fresh and crisp Cranberry Apple Cider Cocktail to kick off September. I added a bit of cranberry juice, orange juice and vodka to my favorite apple ginger hard cider (Angry Orchard) and all was right in my world. I love simple cocktails with a few high quality ingredients and this one is definitely a keeper. Fill glass and cocktail shaker with ice. Add cranberry juice, orange juice and vodka to the cocktail shaker and shake until chilled. Strain into ice filled glass. 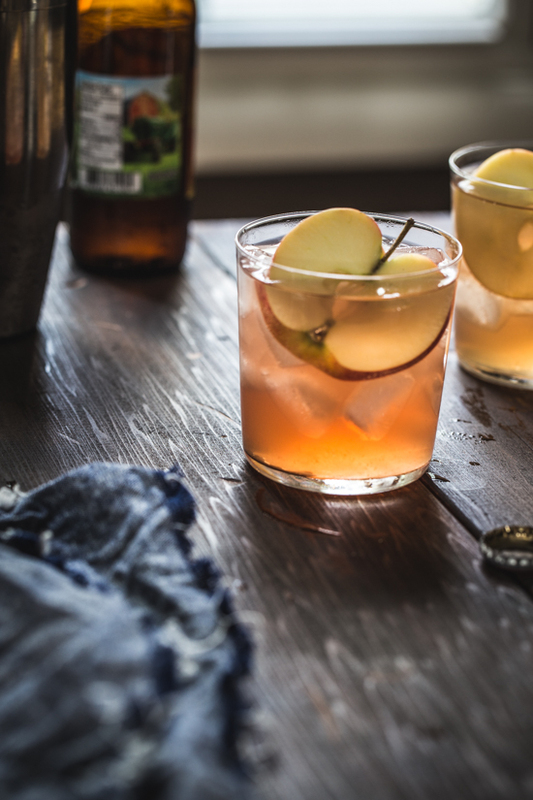 Top off the glass with the hard cider and garnish with apple slice. Sip and enjoy! 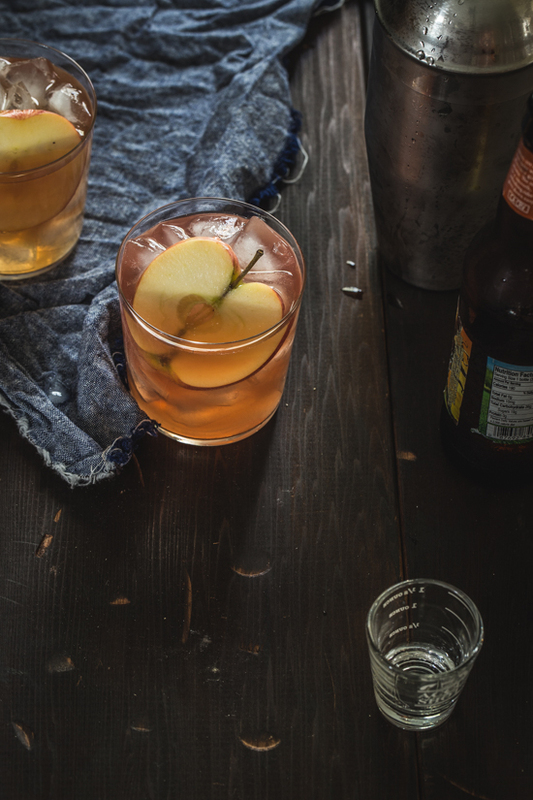 Interested in more swoon-worthy apple cocktails? I’ve got you covered! This sounds fabulous. I can tell you live in the northern hemisphere! I never had hard cider until I went to London, and fortunately, I’m now able to buy it where I live. Such great stuff!!! Love the recipe. I’ve never thought to do anything with it except to drink it as is! 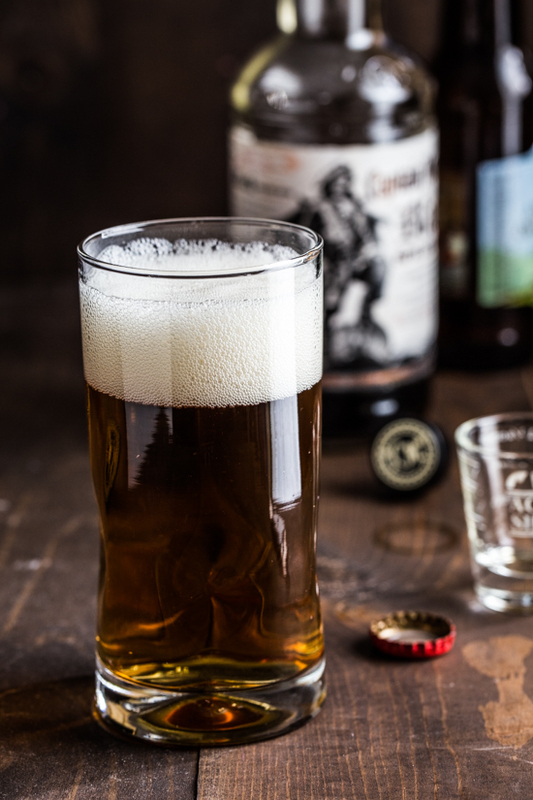 Hard Cider is such a great drink in the Fall! I am thrilled that there are so many options now 🙂 Glad you’re able to find it where you are, Mimi! Well, aren’t you lovely. Bookmarking for a Friday happy hour. Girl you know how to do cocktails. I am a massive apple cider fan! 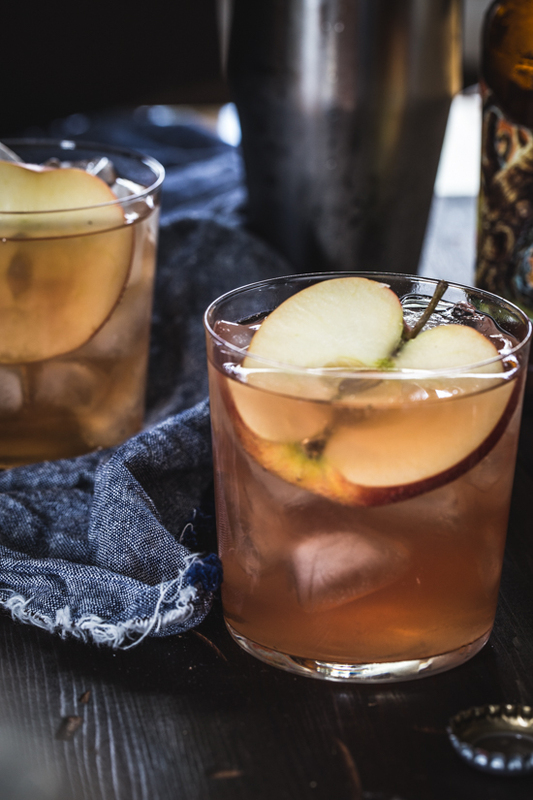 I have never made an apple cider cocktail before, definitely need to try the recipe! 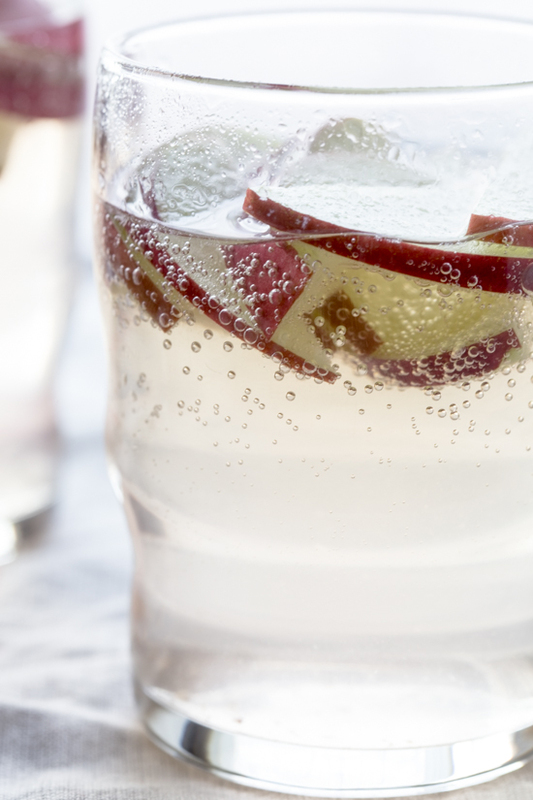 cider is so great on it’s own, but it’s awesome as the base for simple cocktails, too! Thanks for stopping by, Thalia! Drinking this now.. Even my picky bf enjoys it. Yum!!! Awesome, Cj! Glad to hear it! I’m looking for a drink to serve at a party. How well do you think this would translate into a larger recipe? Looks tasty! If I were going to make this for a larger group, I would cut down a step and mix up the cranberry, orange juice and vodka in a large batch ahead of time and chill – just keep the same proportions. Then just portion that mixture out (4oz or 1/2 cup per glass) and top with the hard cider.